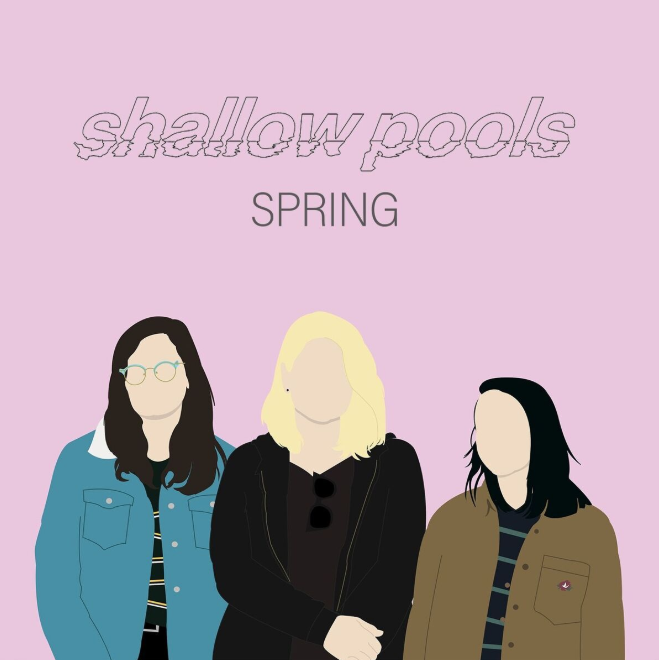 Shallow Pools are a Massachusetts-based trio made up of Jess Gromada (guitar), Glynnis Brennan (vocals, bass), and Ali Ajemian (drums). The pop rockers began their journey as a band by first performing acoustic covers in and amongst their hometown until the band decided to take a stab at songwriting under the moniker that came before Shallow Pools. It was this decision that was pivotal for these three close friends as they embarked on a sonical discovery of their identity and pieced together the well-oiled machine that would eventually become debut EP ‘Spring’. The band are not afraid to let themselves really shine through in this well-delivered and well-polished debut release. First track ‘Sinking’ serves as a perfect introduction to the three-piece – from it’s noodling guitar tones to Glynnis’ emotive vocal lead, the whole song is an ode to anyone feeling lost and downtrodden within a relationship and Ali’s drums are one that add a real third dimension to this track. Keeping with the drums, ‘Tired Eyes’ starts with a memorable introduction of thumping drums before Shallows Pools drift into their trademark – a catchy, emotive and a damn right deliciously melodic chorus. Seriously this band know how to write a chorus and the build up to this in each song is thoroughly thought out and expertly delivered. 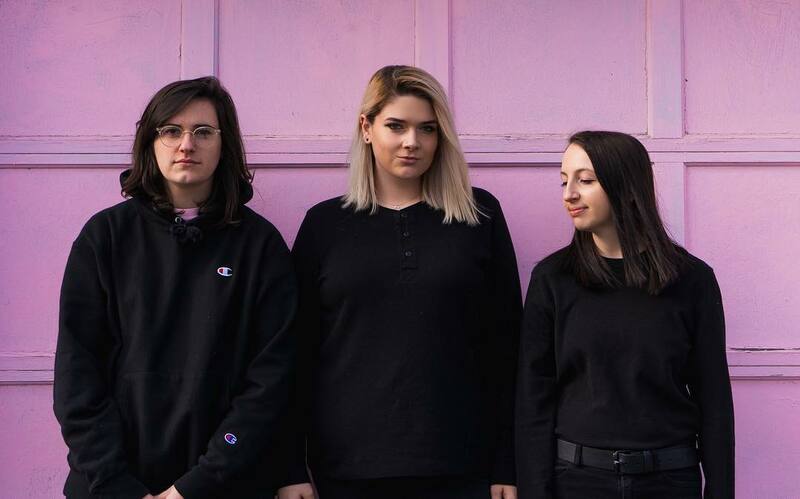 ‘It’s A You Thing’ is the band’s more sombre track and leans towards the more pop side of the music world as opposed to the charming indie rock undertones this EP is built upon. That is not to say this isn’t a good track though, it is very emotive and shows the layers that the trio posses in regards to their craft and talent – I’d definitely be intrigued if this is an indication of where this band want to go sonically, which if so, I am all for. The closer is the title-track ’Spring’ that recaptures the same energy as the opening track, with the lyrics perhaps being the EP’s strongest as Glynnis builds up a real rapport with the listener, making you feel and relate to every line she sings. It is a real crowning moment to end the EP on and one of my favourite tracks from the debut.